There is no end goal with perfection. If you break it down and focus on progressing, then you will actually achieve things. This will led to increased motivation as you make progress that eventually leads to a better, more awesome you! Everyone has to eat…fact. This is why nutritional progress is such an important practice. When people start a ‘diet’ or a decide to ‘cut out eating all the crap’, it is often an all or nothing approach. For some people this works. They find the focus and strict guidelines easy to adhere to. However, in my experience this is not a sustainable approach. 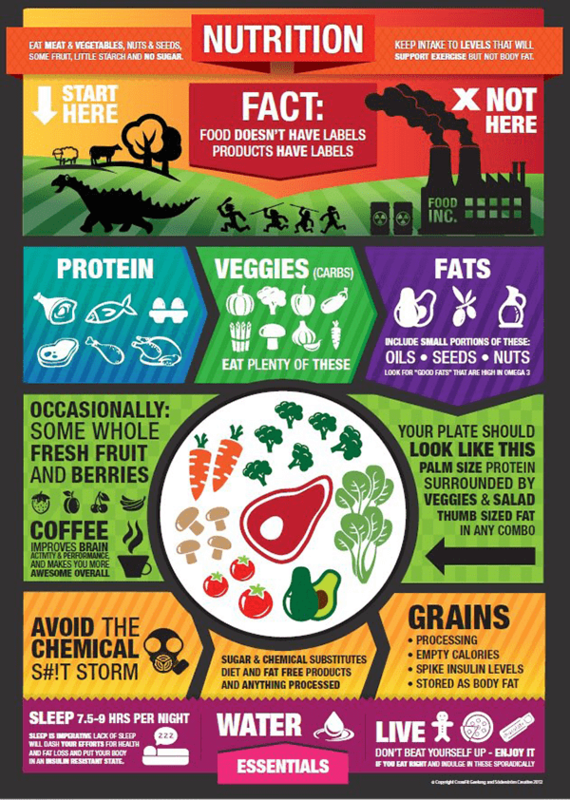 Going strict paleo or strict zone is absolutely fine….if it is achievable for you. However I often see the stress that is caused when someone is on a strict eating plan and they don’t have access to the specific foods they need. Will missing out on one block of protein once a week make a difference? Everyone – elite CrossFitters and complete beginners included – would benefit from focusing on the process of progression opposed to perfection. Perfection should never be the goal because the outcome will always be failure. How do you define perfection? This doesn’t mean you shouldn’t set your goals high, it’s great to set the bar high, but the focus should be on the process. It is great to set a target of a single digit body fat percentage but trying to change every little detail of your nutrition immediately may not be the most effective way of achieving this. Breaking down the required processes, focusing on the progression, will help you reach the goal quicker and with more quality. 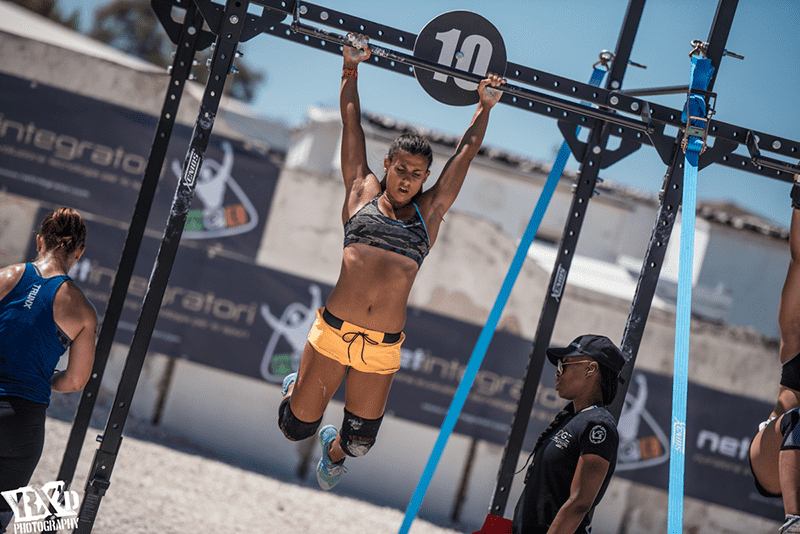 Crossfit nutrition: Focus on progress and the results will follow! The process of achieving a goal should be enjoyable, this is a key element with regard to nutrition and training. Lets take the example of breakfast. My recommendation is to focus on developing a few recipes that work for you. Take the time to enjoy experimenting with different omelette recipes, overnight oats and super smoothies. Quality is important when striving to achieve a goal. Yes you can drop body fat very quickly if you employ certain strategies but what about the impact this has on your health? What happens when you achieve your goal? The tactics you used are not sustainable so then what do you do. You have to change your plan AGAIN! You wouldn’t expect to go straight into main class and start snatching 70kg would you? You have to develop the base skills and go through the PROCESS of developing strength, mobility and technique. The same goes with nutrition. Focus on the process of improving certain aspects and start to form good habits. Putting pressure on yourself to make your nutrition perfect can cause undue stress. Constantly thinking about food or what to cook at your next meal can be unhealthy. Remember stress is both good and bad. Without stressing the body we cannot expect it to adapt. However we want to minimise the unnecessary stressors in our life. 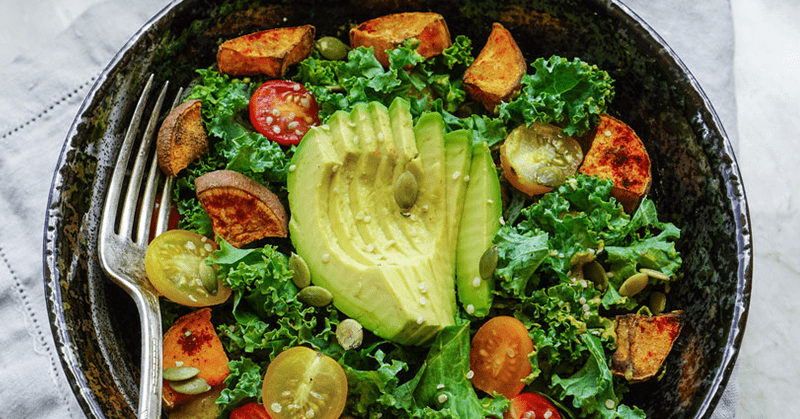 Nobody can eat perfectly all the time, and what is the perfect nutrition plan anyway?! There is no end goal with perfection. If you break it down and focus on progression, then you will actually achieve things. This will led to increased motivation as you make progress that eventually leads to a better, more awesome you!